A laminate backsplash can really date a kitchen design, and pulling it down may disturb the counter or cabinets. 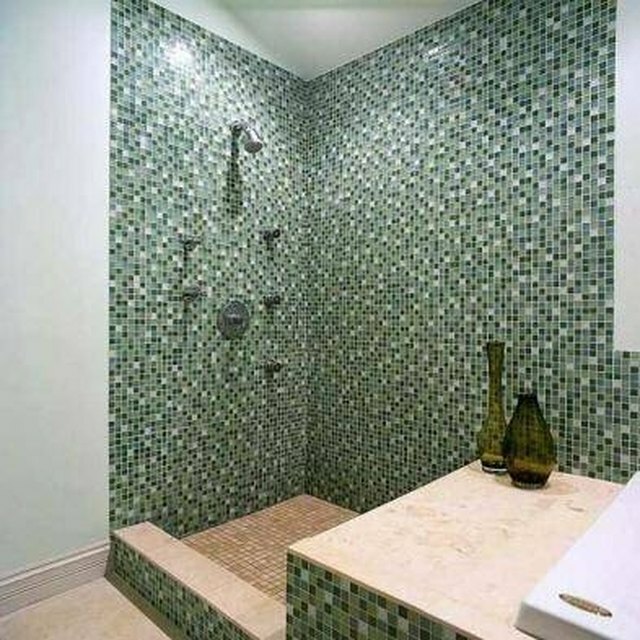 Instead of living with the old backsplash until you gut the entire kitchen, why not tile it over it? Special fiberglass paper mats are available that will allow you to tile right on top of laminate. Just make sure that your backsplash and counter can handle the additional thickness of a layer of tile before you begin to get the look you want. Cover a laminate backsplash with tile to update the look. Use a trowel to spread a thin layer of adhesive over the laminate in the backsplash area. Use the flat edge of the trowel to skim the adhesive on so the adhesive lays smooth. Roll out the fiberglass mat and press it into the adhesive, running the edge of the trowel over it so it sits flat. Lay out your tile in an area equal in size to the backsplash to determine your tile design. Take into account the location of any electrical outlets, window ledges or range hoods to get the best design. Cut the tiles to fit these areas on a tile wet saw by marking them first with a pencil and then pushing them through the blade. Spread a thin, flat layer of mortar directly on top of the fiberglass mat to even out its surface texture and prepare it to receive the tiles. Allow this layer to dry for approximately 10 minutes. Spread a second layer of mortar over the first, this time combing the mortar with the trowel to produce ridges. Press the tiles into the mortar at a slight angle, twisting them slightly into place until you achieve the desired pattern. Let the mortar dry for 24 hours. Grout your backsplash tiles by spreading the grout across their surface with a rubber grout float. Use the edge of the float to direct the grout into the joints between the tiles, scraping the surface of the tiles from the excess grout as you go. Wipe down the grouted tiles with a damp sponge to clean.